Below you will find various resources to aid in the integration and development against our API. Have you requested Developer Portal access yet? Click here to fill out the Developer Portal application to request access. The purpose of this document is to detail the steps necessary to understand how to develop a proper integration to our API. This document should answer many of the basic questions around how our API operates and how to get integrated quickly and easily. Click here to access the Quick Start Guide. Many APIs are similar in the way that they handle requests and response. Ours is not much different than the rest. Most of the same concepts apply, only the parameters may vary slightly. This section describes the basics of our API and any information that is specific to our API that you will need to in order to properly code and interact with us. Click here to view the API Reference. Postman is an open source tool that assists in the submission of requests to a (REST) API. This tool is very easy to use and can help debug requests and speed the development process when coding. Once you download Postman, you can import our sample collection by clicking here. Here is a sample postman Environment file that you can use as your base to import. Be sure to edit the file and insert your own credentials. During development it may be helpful to review your API requests and their responses in order to troubleshoot any issues or unexpected behavior. Fortunately, this can easily be done within our Developer Portal. Once you are signed into the Developer Portal, click on the Projects link in the left-hand navigation. On the Projects page, click into the Project you are working on. 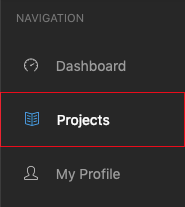 Once you click into a Project, you should be viewing the Request Logs tab (by default), and you can use this tab control at any time to return to the API Logs if you should switch tabs. Within the API Request Logs tab, you will see controls that can be used to search for specific transactions based on Timestamp, Request Method, Response Code, Resource, and Endpoint. © 2019 Paya Connect. All rights reserved.